wagamama, the popular Asian-fusion restaurant from the UK, is slowly but surely breaking into the NYC scene. 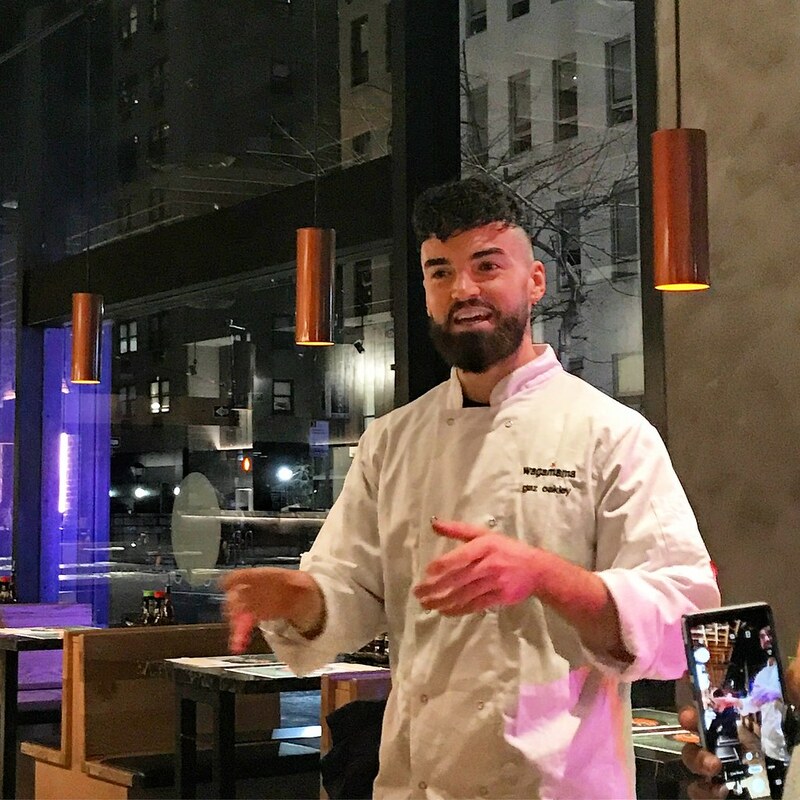 Their Flatiron location has been a hit for a number of years, and they opened up a second location in the East Village, followed quickly by their third location in Murray Hill. We were honored to be invited to preview this new spot last week, which is now open for everyone to enjoy. 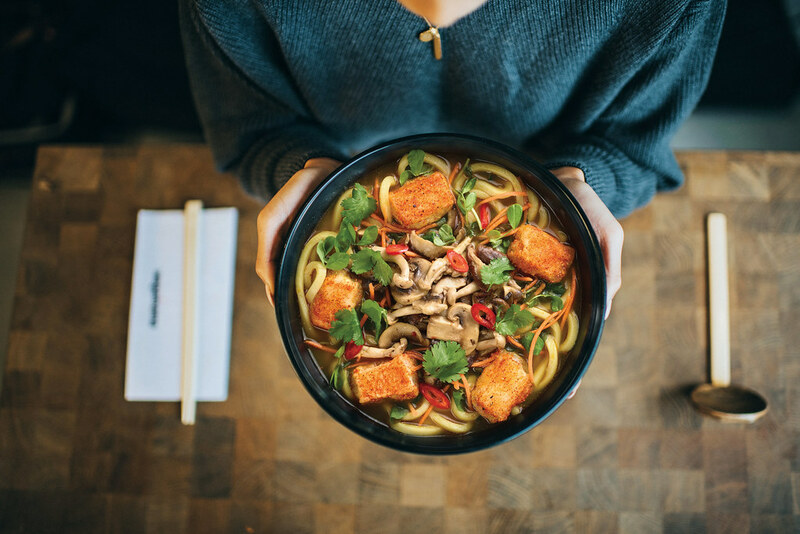 Launched in London in 1992, now wagamama has 195+ locations in 27 countries, Global Executive Chef Steven Mangleshot takes inspiration from the flavors in Asian cuisine and puts his own modern twist. 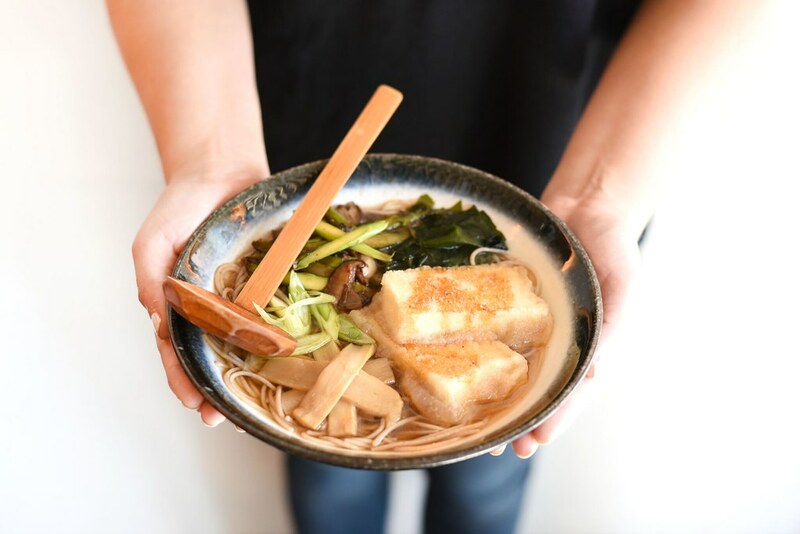 wagamama is all about spreading their “Bowl to Soul” philosophy of using fresh, nutritious ingredients to create wholesome dishes. 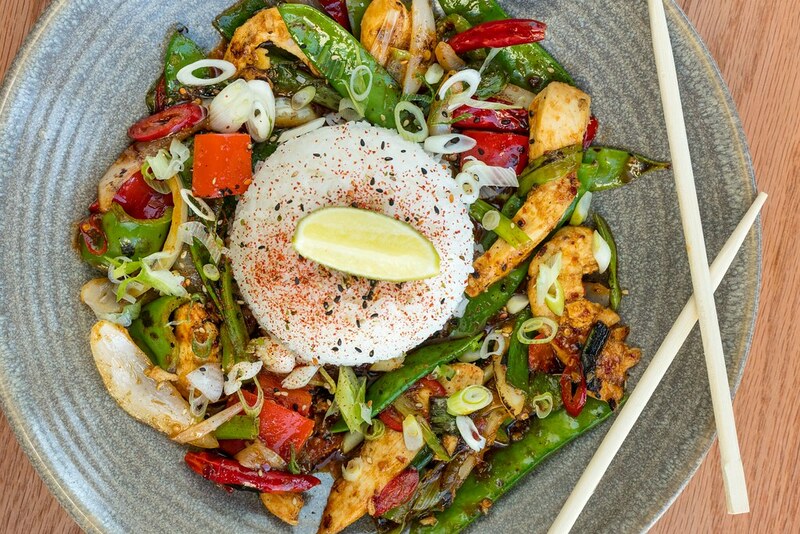 In addition to their signature noodle and rice dishes that everyone knows and loves, wagamama now offers more vegan options. 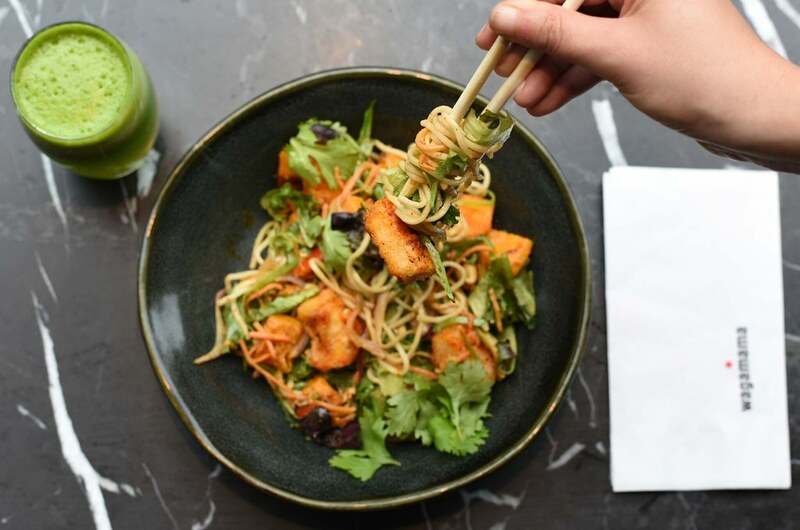 They have taken wagamama favorites, such as the Yaki Soba and the Pad Thai, to make them vegan friendly, and also developed new dishes. We had the opportunity to try the Avant Gard’n, a special dish in collaboration with British vegan chef Gaz Oakley, available for a limited time only. The dish is made with coconut and sriracha vegan “egg”, which looks like the real deal! The “egg white” could have easily fooled anyone, especially in textured. 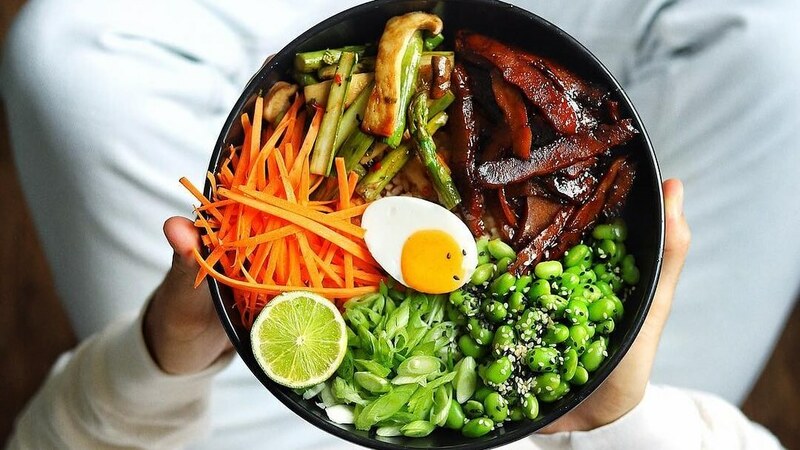 The toppings include barbecue-glazed seitan, edamame, grilled asparagus and mushrooms, on a bed of sticky white rice. A colorful display of fresh, healthy ingredients. For carnivores out there, one sure bet is to get your paws on the Hot Katsu Curry, an exclusive dish at the Murray Hill location only, and for a limited time only. Giving tribute to the many neighboring Indian restaurants, Chef Mangleshot explains that they took their popular chicken kastu dish and pumped up the spice levels, and you can see the chili peppers embedded into the sauce. 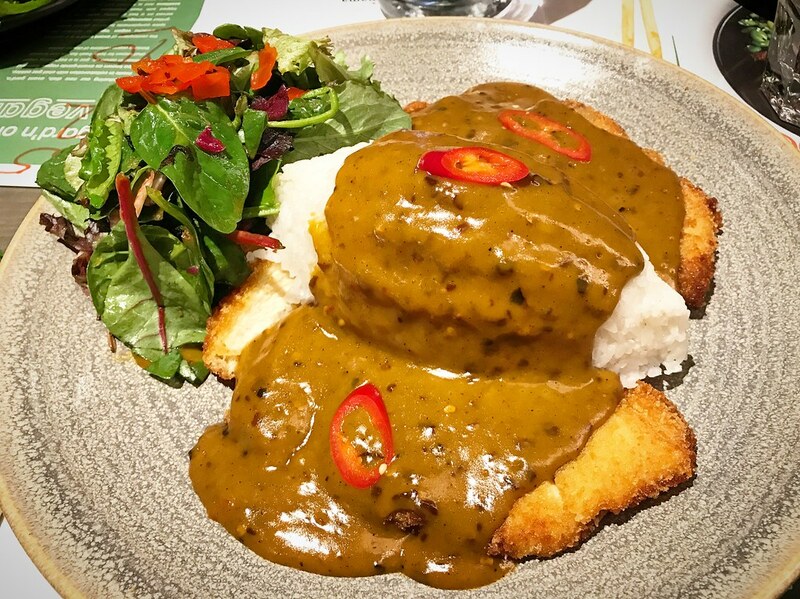 We were told that more than 3.5 million people have ordered the original chicken katsu curry dish in Britain, but we think this spicy version is even better. While there is a bit of a kick, it’s definitely not at the level of eating a ghost pepper, so fear not! 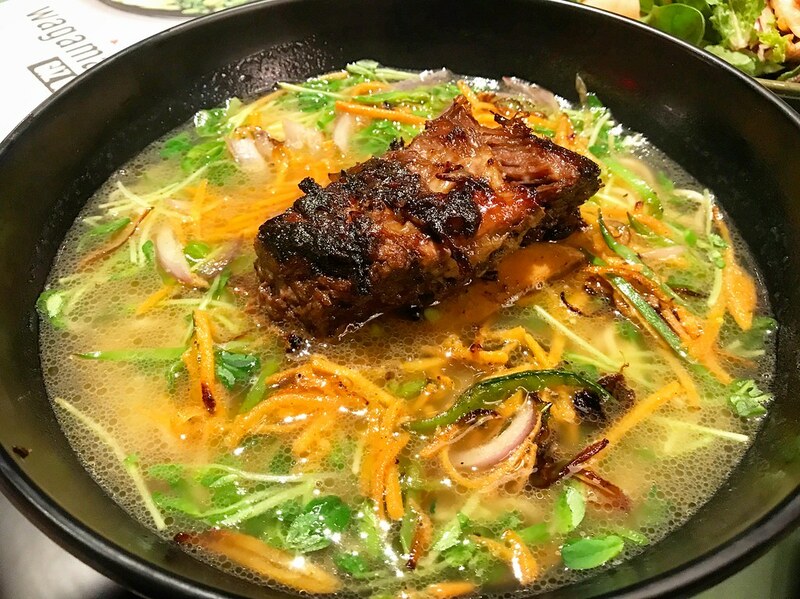 Picking a favorite dish is to difficult, but highly recommended and very popular with guests is the short rib ramen with tender short rib beef on the bone on top of noodles in a light chicken broth, finished with carrots, snow peas, red onion, sweet potato, and seasonal greens. For dessert, finish off the banana katsu, a banana fried in panko breadcrumbs with a scoop of salted caramel ice cream, drizzled with caramel sauce. This new location also offers an expanded cocktail program developed by New York mixologist Adam Schuman, featuring Japanese whiskeys, sakes, and other creative Asian-inspired twists. The customer favorite is the lychee martini with vodka, vermouth and sake spiked with a sweet lychee liqueur. For non-alcoholic options, there is even a mocktail menu, featuring the cranberry+blossom with cranberry juice, cherry blossom syrup and lemon juice with soda and garnished with mint. 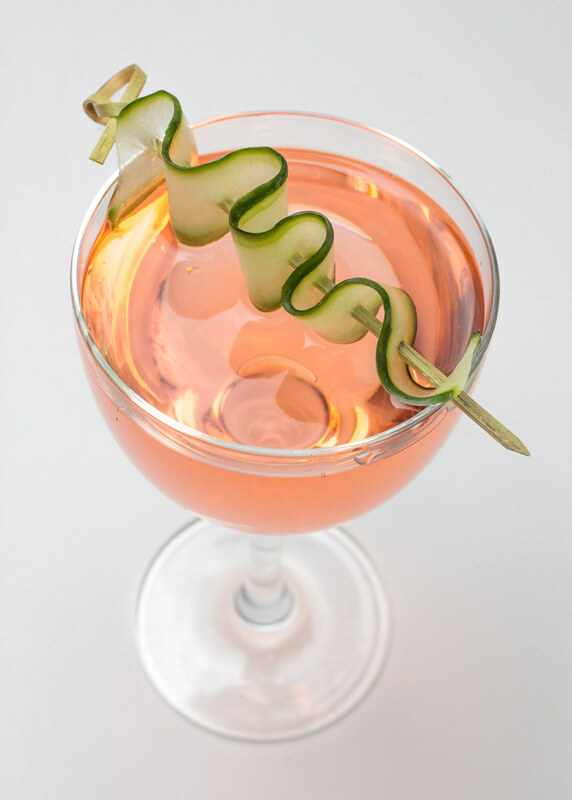 A refreshing drink to pair with all of the hearty dishes. 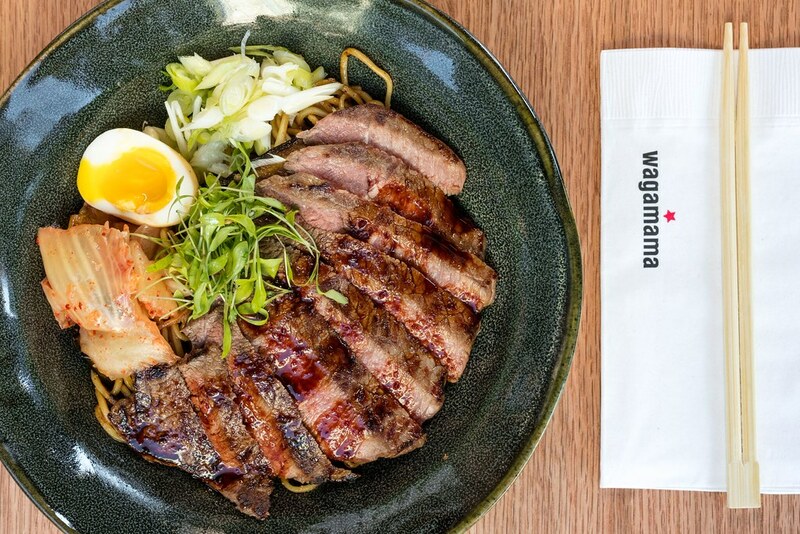 Make your way over to any wagamama location for a delicious meal, but be sure to go to wagamama Murray Hill for their limited-time specials!